Anyone who reads my blog regularly will know how much I love to bake. I rarely need a reason to get into the kitchen and cook up a storm, but sometimes I find this time of year a little overwhelming and stressful on the cooking front. Each Christmas I find myself a bit over-worked or out of steam when it comes to baking festive treats. This year I vowed I'd be a bit kinder on myself and not put tons of pressure on to hand make/bake so much that I lose the plot! Instead, I've chosen a few key gifts to make and treats to bake, and for the rest I am relying on good ready-made alternatives. In my opinion, there is NOTHING wrong with buying in time-saving alternatives to homemade foods at Christmas as long as you don't have to scrimp on quality and flavour. Christmas Pudding is one of my all-time favourite Christmas treats, and I am yet to have a go at making one from scratch. I will...one day I will definitely get around to making my own Christmas pudding months in advance, and I will lovingly steep the fruits in booze, and steam the pud' for hours on end in my kitchen, but this year (the same as all the others) I'm opting for a bought pudding - and I whole heartedly recommend a Figgy's Christmas Pudding if you haven't bought yours yet. 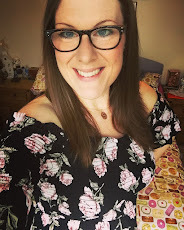 Figgy's puddings is run by husband and wife team Richie and Jo Evans who, based in Devon, lovingly hand make, wrap and dispatch all their puddings themselves, in small batches, so you can be sure you're buying a Christmas Pudding that really is just as you'd make yourself at home. Open for business since 2007, Figgy's has gone from strength to strength and now sells their puddings all over the UK and Europe. Figgy's Christmas Puddings have won various awards including 'Best Dessert' and a Gold Award in the Taste of West Awards 2014. We were sent a Medium Christmas Pudding (550g) to try out - and I can honestly say it was one of the best Christmas puddings I've ever tasted (and I've sampled a fair few over the years). "We make all our Christmas Puddings by hand in our small bakery near Exeter in Devon. We’ve always made puddings for our friends and family and so have perfected our recipe over many years. As our business has grown, we've never forgotten that a good homemade Christmas Pudding takes time to create and cannot be rushed. We make each one with the same care that we did when we were making a handful for our friends and family. We’ve also searched hard to find the best ingredients, many from local producers and suppliers. We've learnt that a truly luxurious Christmas Pudding requires the combination of a hearty real ale and a fine brandy, both of which we have on our doorstep. We use the fabulous Port Stout made by the Devon-based O’Hanlon's Brewery, and the warm and rich 10-year-old Somerset Cider Brandy made by the Somerset Distillery. Both of which we also highly recommend for after dinner relaxation! Our puddings are steamed in ceramic bowls, allowing the flavours to develop to their full potential and producing a far superior result to plastic. The bowls are then wrapped in a cotton pudding cloth, allowing the pudding to breathe and the flavours to mature in the traditional way." Figgy's recommend that you steam their medium pudding for 1.5 hours for best results, and so we followed the instructions exactly, and found it very easy to do (I'd never steamed a pudding before). 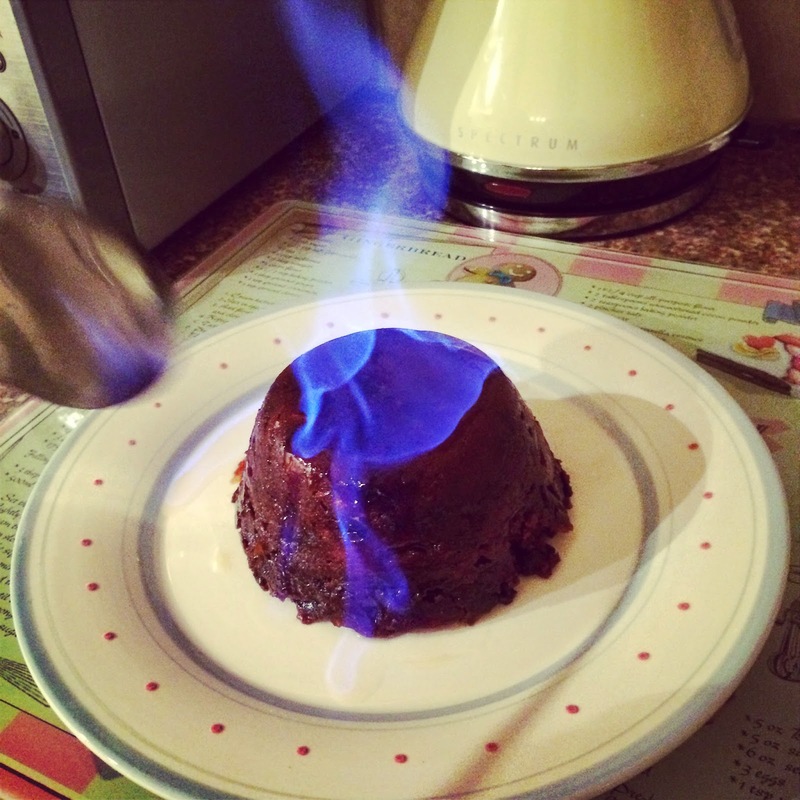 We then heated some of our favourite whisky and flamed the steamed pudding to perfection - you can't have a Christmas pudding and not set it alight, even if its not Christmas Day! We portioned the medium pudding into four servings (over two nights) for hubby and me, and found it to be an ample portion for 4 - personally (because we're greedy) I would have found it a little on the stingy side if I'd been trying to feed more than four with this pudding, so if you are feeding 5 or more I would opt for the large pudding alternative. 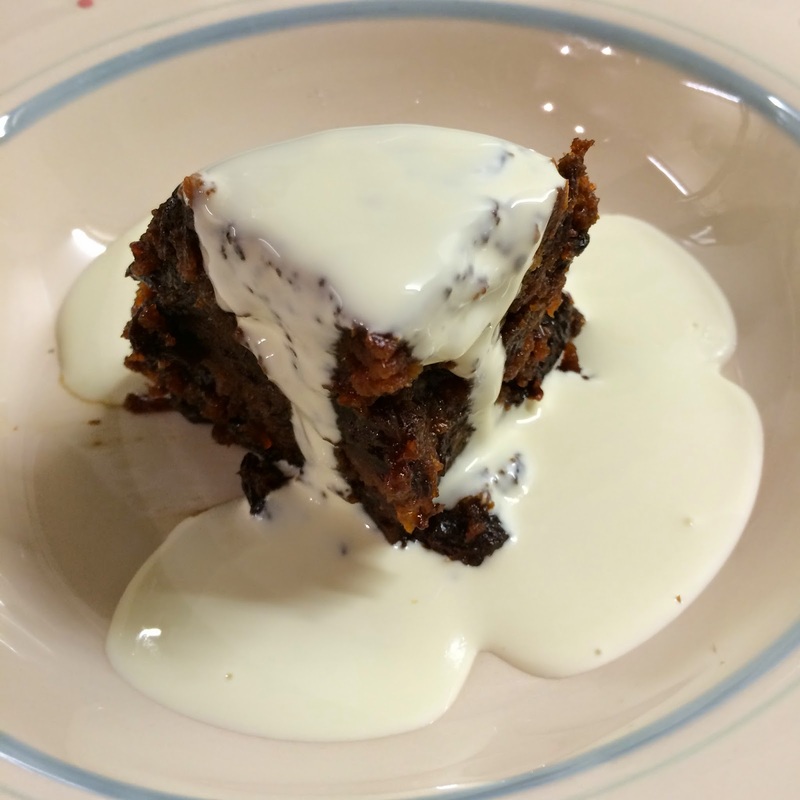 We served our warm Christmas pudding with a drizzle of double cream on the first night, and with thick and boozy cherry/chocolate cream on the second (we microwaved our portions on the second night to re-heat and it still tasted just as delicious). I would whole heartedly recommend you steam your pudding for best results, we only microwaved the leftovers as there was only two of us eating the pudding, and it would have been a bit too greedy (even for us) to eat half each in one sitting. The pudding itself was the lightest Christmas pudding I've ever tasted. It didn't sit heavy with me afterwards, and I didn't have that slightly sick feeling after I'd eaten it which I so often get with very rich desserts, making Figgy's the perfect pudding to opt for if, like us, you are planning to eat an epic feast of a Christmas dinner this year, and want something slightly lighter to follow. Perhaps conversely for a traditional Christmas pudding, the Figgy's pudding wasn't overly boozy in flavour. There was a delicious hint of alcohol but it wasn't too strong, and it didn't overpower the flavour of the warming spices and unctuous fruit. I love boozy desserts (the boozier the better in my opinion) but hubby prefers things to only be lightly spiked with alcohol - so this pudding was truly perfect in his eyes. It would also be great if you're planning on sharing your Christmas pud' with the kids this Christmas - they so often hate the taste of anything boozy flavoured, so I'm pretty confident they would enjoy this Christmas pudding without any fuss. Costing around £2.50 - £3.75 a portion (depending on which size pud' you buy) a Figgy's pudding is great value for money in my opinion - anyone who has ever baked a pudding containing oodles of dried fruit and various alcohols before will know how expensive the cost of the ingredients are, and we've all eaten desserts out enough to know that £3.75 is a great price per head - especially when you get to eat something of this quality! a) You can order your pudding online from the comfort of your own home and only pay £1.95 for UK shipping. b) Your pudding comes beautifully packaged in a ceramic pudding basin (which you get to keep and use afterwards). c) If you send your Figgy's pudding to a friend as a gift (what a GREAT Christmas gift!) you get a free gift card included - fabby! 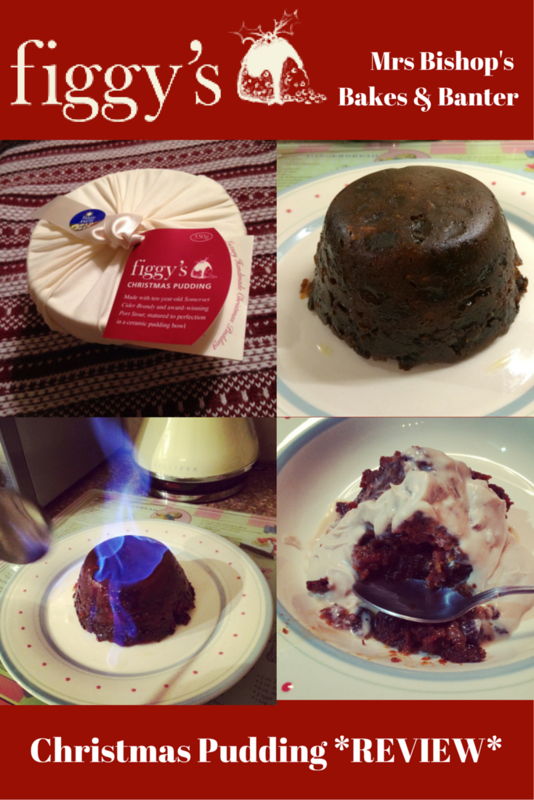 There is NO TIME TO WASTE....If you want a delicious Figgy's Pudding on your table this Christmas Day then you need to make your order online by the end of Weds 17th December to guarantee delivery by Christmas - that gives you exactly 3 days and 6 hours to get yourself into gear and make your purchase! You won't regret it, trust me. There's always next year to make your own! 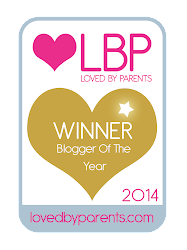 Disclaimer: We were sent a medium Figgy's Christmas Pudding for the purpose of this review. All words, opinions and images are my own, excluding the Figgy's logo and speech marked text taken from the Figgy's website. They are every bit as good as they look Donna. 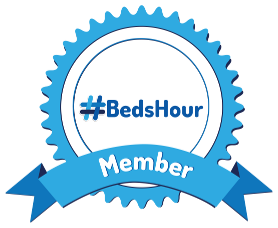 I cant recommend them highly enough. Happy Christmas from The Bishops!